Not sure when this feature popped up.. but in the "Special Characters" menu, ^SPACE (aka my favorite place), there are a whole slew of "Mathematical Letters". I can't even find them under the symbols list.. aka • Arrows, • Punctuation... but they're in there.. and they are CHIC! here is a snapshot of what the above text looks like on my computer... does it look the same to everyone else? How can I use these fonts... or just type these characters directly, without having to hunt and peck with the mouse in the "Special" characters palette? Arie de Ruiter, who in 1995 was Head of Information Technology Development at Elsevier Science, made a proposal to the STI Pub group, an informal group of publishers consisting of representatives from the American Chemical Society (ACS), American Institute of Physics (AIP), American Mathematical Society (AMS), American Physical Society (APS), Elsevier, and Institute of Electrical and Electronics Engineers (IEEE). De Ruiter encouraged the members to consider development of a series of Web fonts, which he proposed should be called the Scientific and Technical Information eXchange, or STIX, Fonts. All STI Pub member organizations enthusiastically endorsed this proposal, and the STI Pub group agreed to embark on what has become a twelve-year project. The goal of the project was to identify all alphabetic, symbolic, and other special characters used in any facet of scientific publishing and to create a set of Unicode-based fonts that would be distributed free to every scientist, student, and other interested party worldwide. 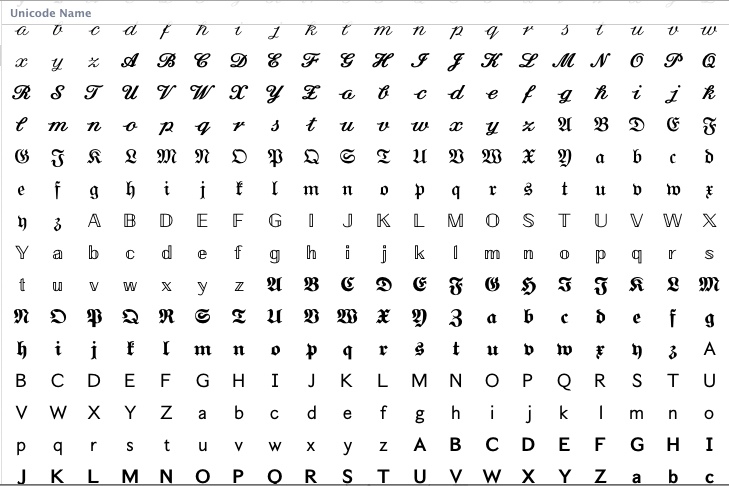 The fonts would be consistent with the emerging Unicode standard, and would permit universal representation of every character. 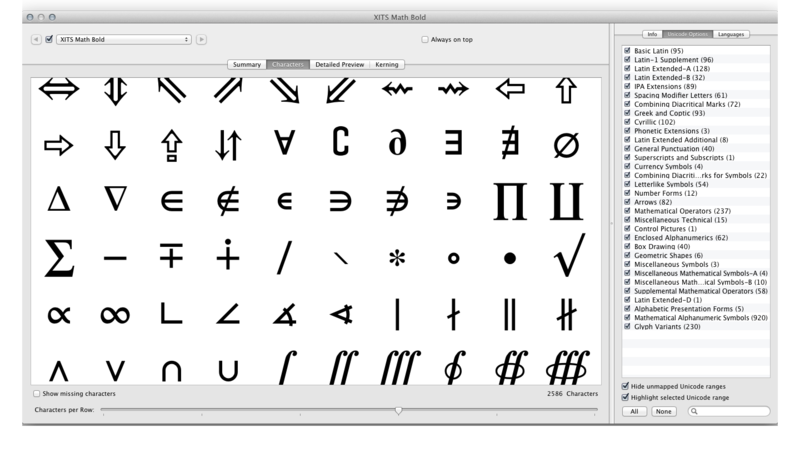 With the release of the STIX fonts, de Ruiter's vision has been realized. What a weird.. and fabulous font. More info can be found here. They are mathematical alphanumeric characters, which look like glyph variants of basic Latin letters but have been encoded as separate characters, due to their special use in mathematical notations. Italic, bold face, and even use of a sans-serif form vs. serif form may carry an essential difference of meaning in mathematics. 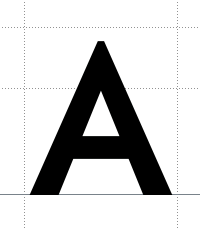 For example, a bold italic “a” may denote a vector, in a context when a normal-weight italic “a” denotes a scalar variable. Normally, such distinctions are made with styling or with markup, but the mathematical alphanumeric characters let you make the distinction in plain text, when desired or needed. The shapes of these character vary by font, even though the basic idea allows less glyph variation than for normal letters. 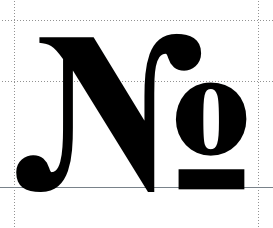 A mathematical italic letter can still take different shapes. So no, they do not look the same to everyone else. See e.g. some samples of mathematical italic a in different fonts. Moreover, not everyone sees them at all. Few fonts contain them, and it is quite possible that someone is using a computer where no font has them. So it’s a matter of characters, not fonts. And these characters “are intended for use only in mathematical or technical notation, and not in nontechnical text” (Unicode Standard, chapter 15, page 481). They are not used much, but people might be using them without knowing what happens. If you use a sufficiently new version of Microsoft Word and enter a formula, using the formula mode, and type an “a”, Word will actually convert the character to mathematical italic a. Normally, you cannot type these characters directly. You would need to use a character picker like the one mentioned, or some input method based on the Unicode number of a character. But it is possible to create a keyboard driver that lets you type these characters using normal keyboard keys and some special keys – or to programmatically convert normal characters to these characters, as Word does. There is nothing Apple-specific about this. Input methods vary by system and software, of course, like for other characters. If you go to the gear wheel at the top left of the Character Viewer and select customize and then check the box for Unicode and then select Unicode and go to 0001D400 Math Alphanumeric Symbols you should have them. There is no practical way to type them with the keyboard, you have to double-click or drag/drop from the Character Viewer. What are these characters from the OS X keyboard?